Kinmen Kaoliang Liquor (SBL) signed 32-year old American center Garret Siler (213-127kg-86, college: Augusta). He played last summer at Leones in Ecuadorian National League. In three games he had 15.0ppg and 11.7rpg. The last season Siler played at Fubon Braves where in 42 SBL games he recorded very impressive stats: 15.0ppg, 14.5rpg (#3 in the league), 1.2apg and 1.6bpg. Siler helped them to make it to the final. Quite impressive season as he was named to Asia-basket.com All-Taiwanese SBL Honorable Mention and League Player of the Week. In 2009 he was drafted by Utah Flash (D-League) as #5 pick overall. Siler attended Augusta University (NCAA Div.II) and it is his tenth season in pro basketball. He has tried to make it to the NBA and played in the NBA Pro Summer League in 2012. The list of the past achievements is quite long as among others Siler won Venezuelan LPB championship title in 2015. He was also voted Asia-basket.com Taiwanese SBL All-Imports Team back in 2015. Siler is quite experienced player. He has played in five different countries on three different continents (Asia, Latin America and of course North America). Siler has played previously professionally in China (Jiangsu Dragons), Puerto Rico (Capitanes), NBA (Phoenix Suns), Venezuela (Marinos) and D-League (Utah F.). He could be described: What you would expect a 7-foot, 300 pound center to be. He establishes himself down low with ease due to his incredible strength and overpowering size. His length and size allow him to dunk the ball with barely jumping, but his immense size limit him greatly in footwork and athleticism. Knows what it takes to get to the line where he shoots fairly well. Siler is incredibly strong, has great hands, and establishes position in the paint against players of this caliber with the greatest of ease, barely needing to jump in order to dunk the ball because of how long his arms are. Combine those things together, and it becomes pretty obvious why he shoots such a high percentage from the field. Pauian held off Dacin Tigers to pave their way through into the semifinal round. Pauian made 32-of-38 free shots (84.2 percent) during the game, while Dacin Tigers only scored fifteen points from the stripe. Pauian forced 21 Dacin Tigers turnovers. 29 personal fouls committed by Dacin Tigers helped opponents get some easy free throw opportunities. It was a good game for American swingman Orlando Johnson (196-89, college: UCSB) who led his team to a victory with a double-double by scoring 32 points and 13 rebounds. The former international point guard Chia-Chun Wu (177-94) contributed with 25 points, 7 assists and 4 steals (on 6-of-7 shooting from the field) for the winners. Four Pauian players scored in double figures. American center Anthony McClain (211-88, college: Cincinnati) answered with a double-double by scoring 21 points and 20 rebounds and the other American import guard OJ Mayo (193-87, college: USC) added 28 points and 9 rebounds in the effort for Dacin Tigers. The winner was already known earlier in the game, so both coaches allowed to play the bench players saving starting five for next games. Yulon Luxgen upset KKL on the road to sweep the series. American power forward Walter Sharpe (206-86, college: UAB) orchestrated the victory with a double-double by scoring 16 points, 14 rebounds and 8 assists. The former international point guard Wei-Han Lin (178-90) contributed with 14 points, 5 rebounds and 4 assists for the winners. Four Yulon Luxgen players scored in double figures. Forward Yi-Jin Su (195-93) replied with 18 points, 8 rebounds and 8 assists and American center Garret Siler (213-86, college: Augusta) added 12 points and 16 rebounds (on 6-of-7 shooting from the field) in the effort for KKL. KKL's coach tried various players' combinations and tested in total eleven players in this game, but that didn't help. Dacin Tigers topped Pauian to even the series at 1-1. Pauian was plagued by 27 personal fouls down the stretch. American players dominated the game. Guard OJ Mayo (193-87, college: USC) scored 27 points, 7 rebounds and 5 assists to lead the charge for the winners and center Anthony McClain (211-88, college: Cincinnati) chipped in 17 points and 15 rebounds during the contest. Swingman Orlando Johnson (196-89, college: UCSB) responded with 17 points, 5 rebounds and 7 assists and center Kyle Meyer (208-93, college: Houston) scored 13 points and 9 rebounds. Both coaches used bench players which allowed the starters a little rest for the next games. Yulon Luxgen topped KKL to take the lead in the series. American power forward Walter Sharpe (206-86, college: UAB) stepped up with a double-double by scoring 21 points and 14 rebounds for the winners and his fellow American import forward Emanuel Jones (200-85, college: UTRGV) chipped in 16 points and 7 rebounds. 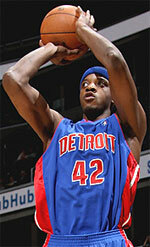 Jones is a former Eurobasket Summer League player, which is considered top international summer league in the market. At the losing side American center Garret Siler (213-86, college: Augusta) responded with a double-double by scoring 12 points and 22 rebounds and Croatian forward Zoran Vrkic (203-87, agency: SDJ Sports) scored 13 points. Both coaches tested many bench players which allowed the starters a little rest for the next games. Pauian held off Dacin Tigers in the opener. Pauian looked well-organized offensively handing out 23 assists. 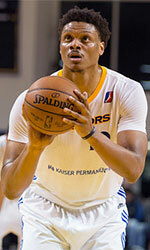 Worth to mention a great performance of American swingman Orlando Johnson (196-89, college: UCSB) who helped to win the game recording a double-double by scoring 15 points, 10 rebounds and 5 assists. Chin-Yao Yao (187-90) contributed with 19 points and 6 rebounds for the winners. Four Pauian players scored in double figures. American guard OJ Mayo (193-87, college: USC) answered with 17 points, 5 rebounds and 5 assists and the other American import center Anthony McClain (211-88, college: Cincinnati) added 12 points, 13 rebounds and 4 blocks in the effort for Dacin Tigers. Both coaches used bench players in such tough game.